What is a Global Locator Number, and why is it important? 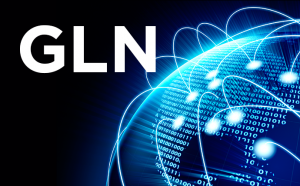 The Global Location Number (GLN) is a GS1 standards-grounded, globally genuine, 13-digit number utilized to determine areas and provide chain partners. GLNs can be utilized to define a functional entity (like a hospital pharmacy or accounting department), a physical entity (like a warehouse or hospital wing or even a nursing station), or a legal entity (like a health system corporation). GS1 Healthcare U.S. is the nationwide healthcare industry user group that maintains the invagination and consummation of global standards run by GS1 Healthcare. HISCI maintains the GS1 Healthcare U.S. Vision, which is to become the acknowledged, available and neutral source for regulatory facilities, trade establishments and other similar stakeholders searching for contribution and direction for global standards in healthcare for patient security, supply chain security and effectiveness, traceability and accurate data synchronization in the United States. What is the 2010 GLN Sunrise, and how does it influence HISCI Members? To enhance patient security and provide chain effectiveness, establishments and facilities throughout the U.S. healthcare supply chain have claimed their maintenance to admit GS1 Standards by the industry-accepted sunrise dates of 2010 for the GS1 Global Location Number (GLN) to standardize location definition and 2012 for the GS1 Global Trade Item Number® (GTIN®) to standardize good identification. GLNs are assigned by area owners. GLNs are utilized in corresponding business transactions and processes between trading partners. GLN hierarchy is defined and maintained by location owners. GLN Registry for Healthcare® is used to facilitate correct location identification. Please contact HISCI at (313) 478-2296 for additional GLN Inquiries.